Not too pretty looking down. 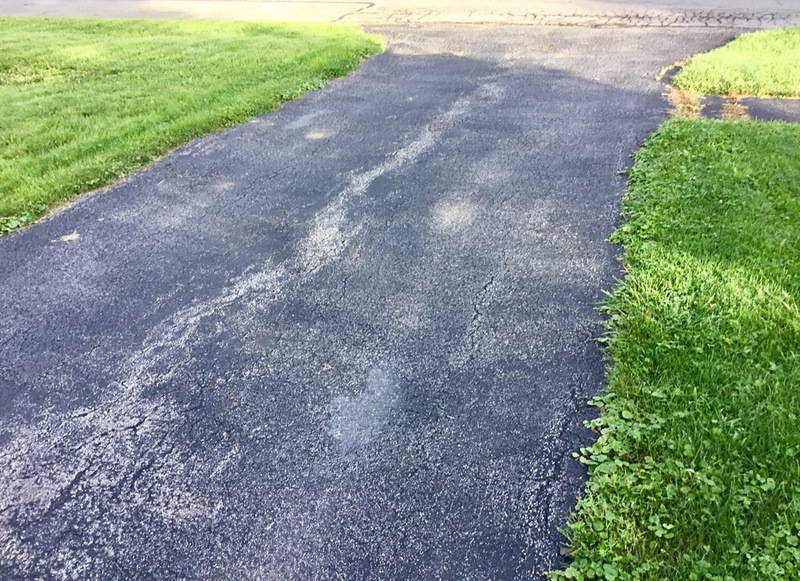 One of the blemishes at A Bitty Better since we’ve moved into the Liverpool neighborhood of Galeville in October 2016 is our driveway. It’s had a hard life, I can tell. Picks are aplenty. Cracks abound. I’ve decided to do something about it. ← Blue Moon or Arnie? No “new” house is perfect unless, of course, its a new- build. 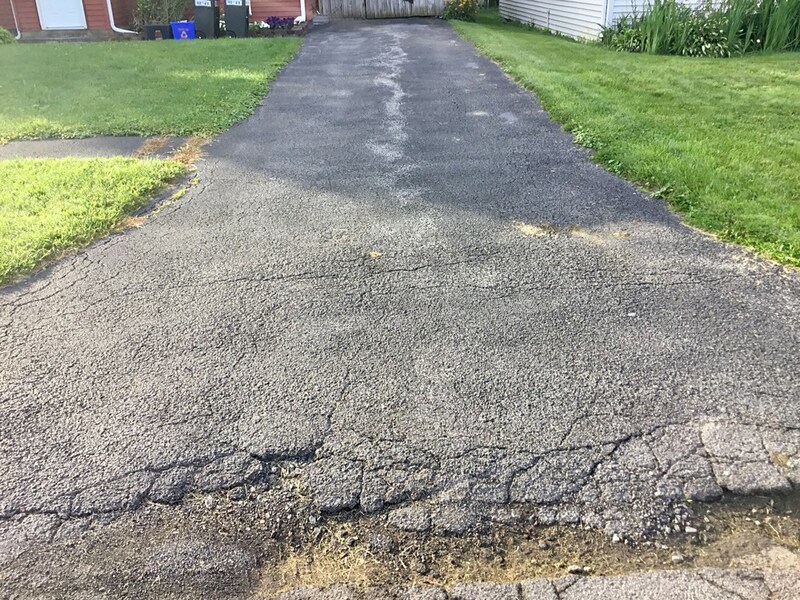 I’ll be interested in learning how you deal with your less-than-perfect driveway. Oh the home improvement sagas never really end do they MBM? One thing after another, MBC, you sure got that right. Yeah, that driveway has seen better days. Yeah, it was really shot, Tony.